Do you need to present information in a large yet easy-to-move display? 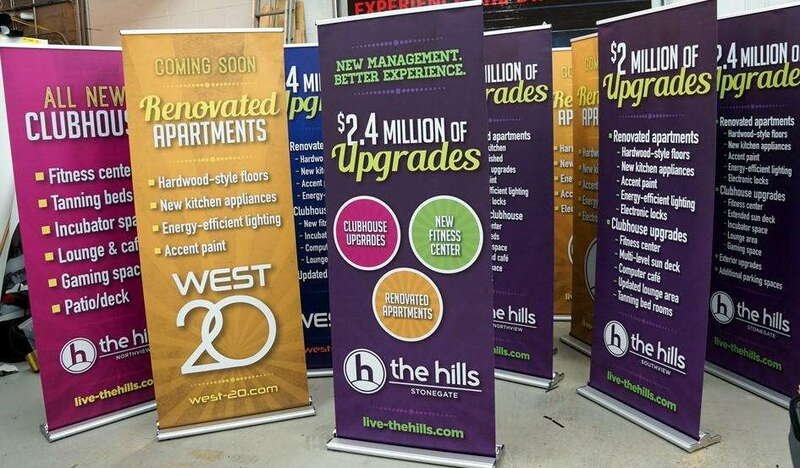 Look no further — our retractable banner stands can be used in a variety of places for countless reasons. 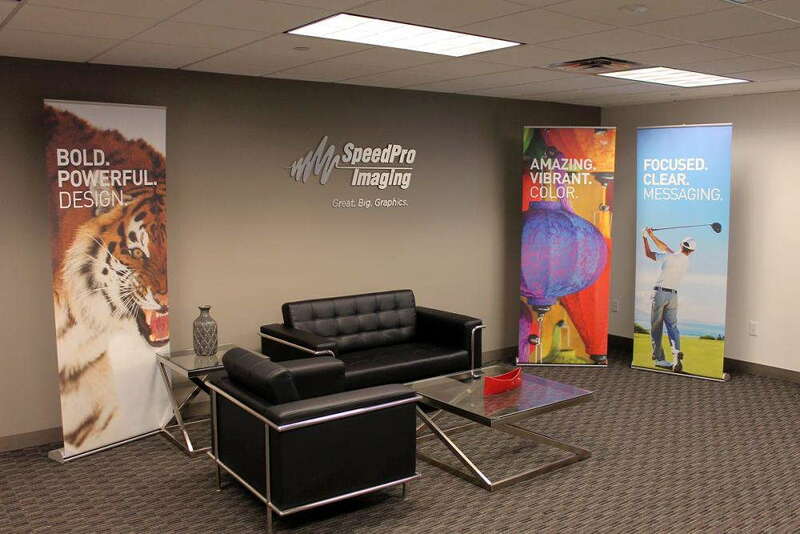 SpeedPro Imaging Phoenix North will help get your conference room, retail lobby or event display looking sharp, professional and engaging. Retractable banners for businesses need to be durable and also portable so that you can easily reuse and relocate them. Contact us today so we can find the right stand for you that is both affordable and matches your business needs! You choose the width and height, and SpeedPro will find the ideal banner. 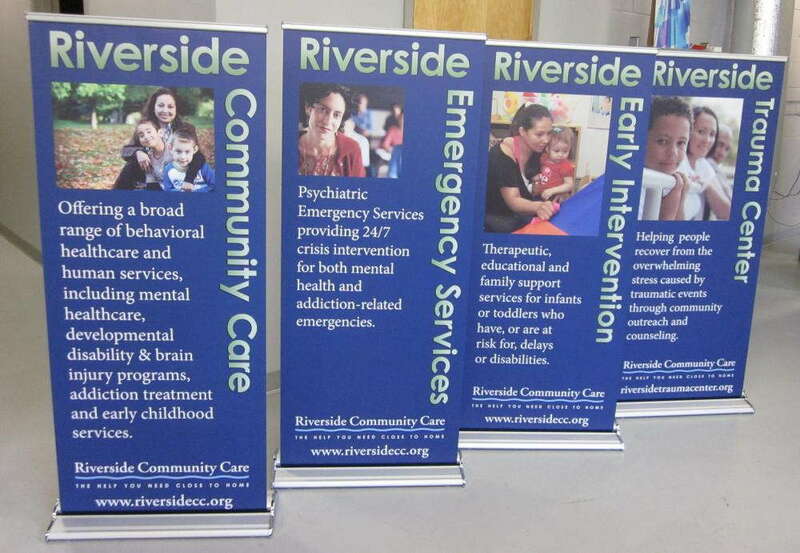 Our retractable banners are made to collapse easily with little to no set-up. We ensure the banner you receive is exactly what you and your business need, without any extra unwanted banner space or material. Our retractable banner stands are designed to share your story and emphasize your brand, and whether you want one or five, we’ll provide enough to meet your specifications. Let’s say you’re setting up for a pop-up event. You may choose to customize two retractable banners — one to describe your products and another to share the benefits or advantages of your service. Grab people’s attention by telling an engaging story that they can relate to. Maybe you’re advertising your retail store in a mall. Including one banner stand in a main lobby can give information about what your business does and where you’re located. Then, at your store, including one or two more stands will reinforce a connection to what a customer has already seen while also giving more information. If you’d rather go for an image or graphic design over specific information, lining up multiple retractable stands in a row can paint a picture. Why not set a scene for your display with minimal words instead using an onslaught of text? Sometimes, giving an overview works better in starting a conversation with a potential customer. The sizes and features of custom retractable banners are reflected in the price of each. SpeedPro offers a wide range of styles and features — you can choose small table-top stands or banners that extend up to ten feet. When you meet with a SpeedPro professional, we’ll discuss all the offers and features you can choose from. 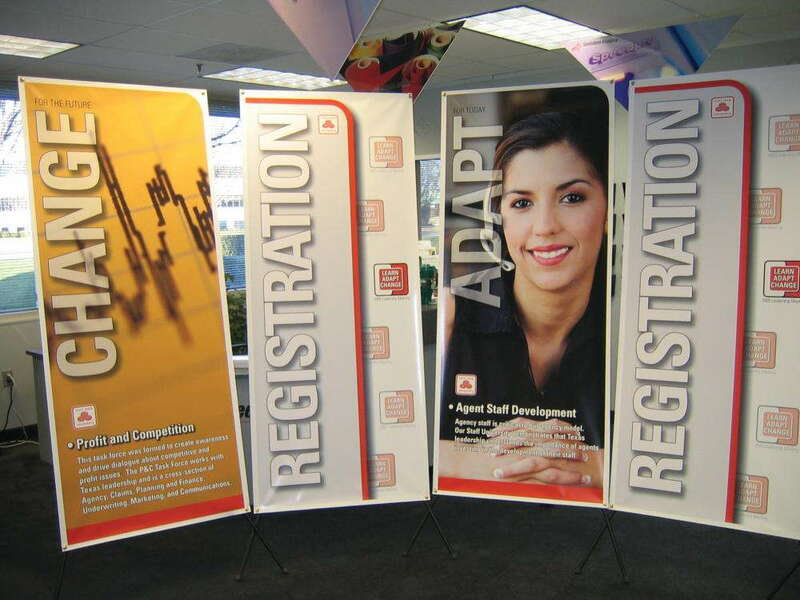 Two of the most popular types of banners are Ultraflex and Decolit. With Ultraflex, you can print on both sides of the screen, allowing for an all-around view of the stand. There’s also a layer in the material that can block light from shining through. Decolit can also support the “black-out” feature but, more importantly, has a fabric-like appearance. If retractable banners sound like something you’d like to add to your business, give us a call today! Our team at SpeedPro Imaging Phoenix North would love to consult with you and discuss your branding needs. Adding a durable and portable retractable banner to your office may be the final touch you’ve been looking for.